This Senior-level client services position provides strategic relationship management and consultative services to Large and Complex Casualty clients. 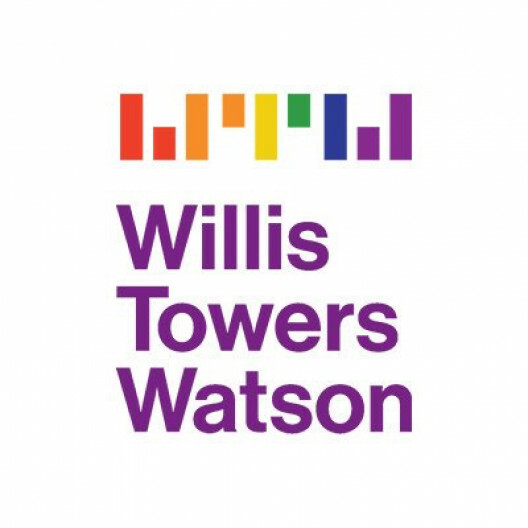 This role is responsible to marshal the Willis Towers Watson resources, in conjunction with the account leaders, to provide coordinated service and placement to meet the client"EURTMs insurance and risk management needs. Responsible to ensure that relevant regulatory and technical standards are met. Leverages advanced skill set with P&C knowledge, with Large Middle Market, Risk Management, and Global Insurance clients, to design and consult with clients on insurance coverage and services; uses understanding of clients"EURTM needs to expand business opportunities and further solidify client relationships. Ability to focus on delivering exceptional customer service while working in a fast paced environment with minimal supervision. Responsibilities: Responsible for maintaining a strong relationship with sophisticated client decision-makers, understanding clients' business and advising on key risk and insurance issues. Consults with and advises clients, in coordination with the client team, to identify risk exposures, client"EURTMs risk appetite, and risk management priorities for the purpose of designing appropriate insurance programs. In partnership with the Account Executive, will lead and coordinate with the client service team consisting of client service specialists, brokers, risk control consultants and claims consultants, providing strategic advice to clients and team members. Manages the client renewal process to ensure successful client outcomes. Collaborates with brokers on, coverage, program structure and loss analysis. Assists in resolving client, carrier and/or vendor issues. Responsible for contract review and coverage recommendations. Supports office cross selling efforts and other company growth initiatives. Supports team with proposals and RFP presentations to clients and prospects. This position will work with our Large and Complex Clients. Large and Complex Accounts exhibit a combination of the following characteristics: sophisticated buyers, loss sensitive or alternative program structure, engage specialized Willis Towers Watson resources requiring a higher degree of account service coordination, and/or revenue in excess of $1B. Minimum of 7 years insurance experience in a commercial Property & Casualty brokerage environment with success in client service, account management and placement. BA/BS Degree in insurance, finance or related field a plus. Advanced designations such as CIC, CPCU, ARM desirable. Ability to focus on delivering exceptional client service while working in a fast paced, high volume environment with minimal supervision. Ability to work in a consultative team environment, effectively lead a team and support and develop junior colleagues on the team. Requires a thorough understanding of large deductible and/or complex casualty programs. Must be able to effectively communicate and explain loss sensitive and complex casualty programs to clients. Requires a thorough understanding of property, casualty and management liability insurance coverage. Requires excellent verbal and written communication, presentation, customer service and team building skills.